See http://nysl.nysed.gov/uhtbin/035-archives/(N-Ar)13721 for catalog record. 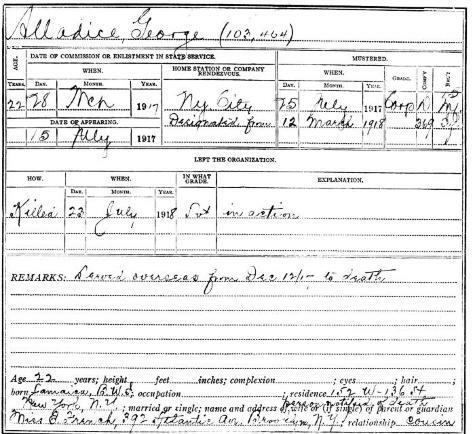 ;The individual abstracts for each enlisted man provide the following data:name; U.S. Army serial number; date and place of commission or enlistment in state service; date of appearance for duty; dates of muster into service (N.Y. and U.S. with rank, company and regiment); date and rank at time of leaving service; and reason for leaving service (type of discharge or transfer). Following these data are "remarks" which sometimes give additional details. At the bottom of the form is space to record personal information however this space is often left blank. Manuscript (handwritten) data on printed form.